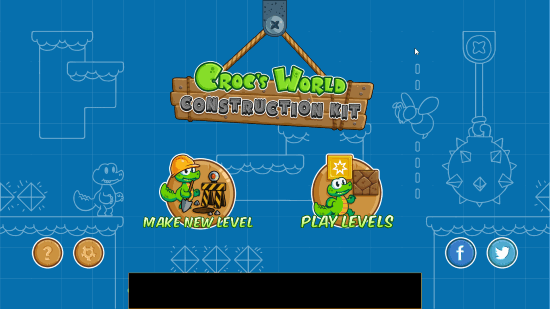 Croc’s world Construction Kit is a free Adventure Game for Windows 8 and 8.1 devices. 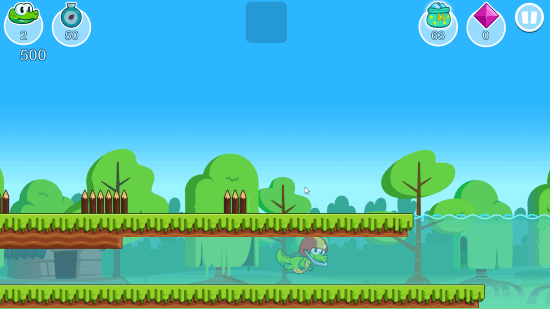 The game is all about a little cute crocodile who has started his journey. Help him to complete his journey but remember that the whole adventure is full of deadly creatures who can kill the baby crocodile. You have to save him from all those deadly creatures so that he can complete his journey safely in the given time. The game comes with many exciting levels along with good graphics and sound. This adventure game for Windows 8 is specially designed and developed for kids. Your kids will be engaged with the game throughout the day without getting bored. One most exciting feature of this free adventure game is that you can design your own levels in the game and publish them on the internet for anyone to play. But before publishing any level on the internet, you have to complete that level. This free online adventure game for Windows 8 is easy to install on your computer. A link is provided at the end of the article, click on the link, and Windows will take you to the installation page. 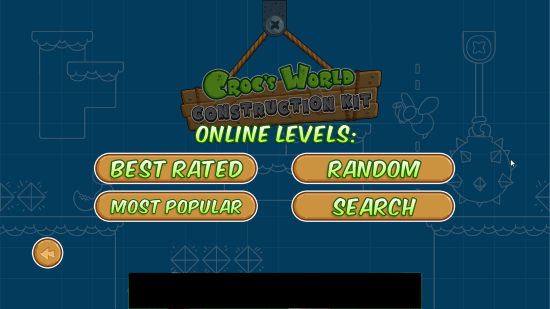 At the installation page, click on the Install button and let the Windows install the Croc’s World Construction Kit on your system automatically. You can also download it directly from the Microsoft Store by entering the name of the game. This interesting adventure game for Windows 8 is very easy to play. Use WAD Keys to control the movement of the baby crocodile and press Spacebar key to throw the stones. Initially, the baby crocodile has no stones for defense. He will get stones on his way by breaking the walls. You will get 3 lives at the beginning of the game and you have to complete the level within 3 minutes. If you are not able to complete the level within 3 minutes, you will lose 1 life automatically and the whole progress of the level will be lost. After completing the level, you can rate it from 1 to 5 stars. The game comes with 4 different levels in play mode, namely – Best Rated, Random, Most Popular, and Search. Best Rated contains the list of the levels with highest ratings. If you want to play both rated and unrated levels, then select the random option in gameplay. Moreover, you can play the levels which are popular across the world in the Most Popular section. On clicking Search option, you can search any level by its name in this adventure game for Windows 8. To kill the enemies, just jump on their head. But be careful, as all the enemies could not be killed by jumping on their head. Avoid jumping on those creatures who have spikes on their body. 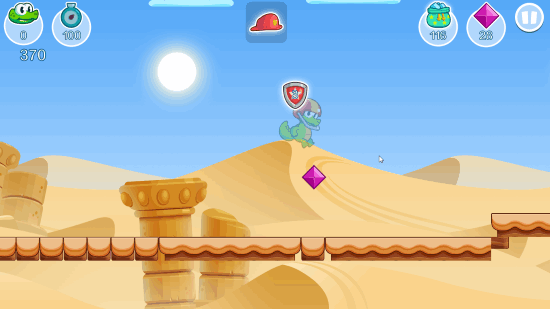 At the beginning of the game, the baby crocodile has no armor to protect himself from the enemies. But he will get a helmet later as you go ahead in the level. Remember, that one helmet can protect him only for once, so collect as many helmets as you can. 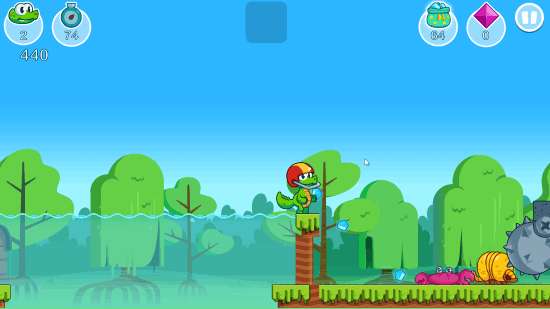 One more feature of the game is that the baby crocodile can swim in the water. Another interesting feature of the baby crocodile is you can make him invisible for 10 seconds. Once the baby crocodile become invisible, no enemy would be able to harm him until he becomes visible again. This is all about how to install and play this kids adventure game. Get it now! and start your journey as a little baby crocodile. 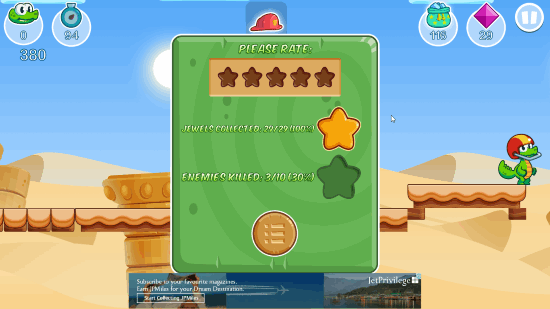 Click on Make New Level option in the game, then click on Add level button. The game will open the editor screen in front of you where you can start designing. Choose the background from the list available in the game. 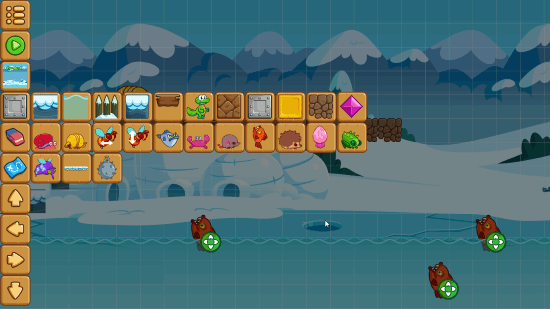 Select and place the creatures, walls, stones, spikes, and more anywhere in the graph from the library. You can erase the unwanted content by using an eraser. Croc’s World Construction Kit is a lightweight (37.7 MB) free adventure game for Windows 8 and 8.1 computers. Download and install the game and let your kids explore their creativity by designing a number of levels. Download Croc’s World Construction Kit for Windows and Windows 8.1 computers.